At Formula One Car Centre we recognise the importance to our customers of "peace of mind" and have teamed up with Momentum Warranties. The most trusted warranty provider in the UK and a leading provider of Motor Dealer Warranty products to provide a 5 star vehicle cover. 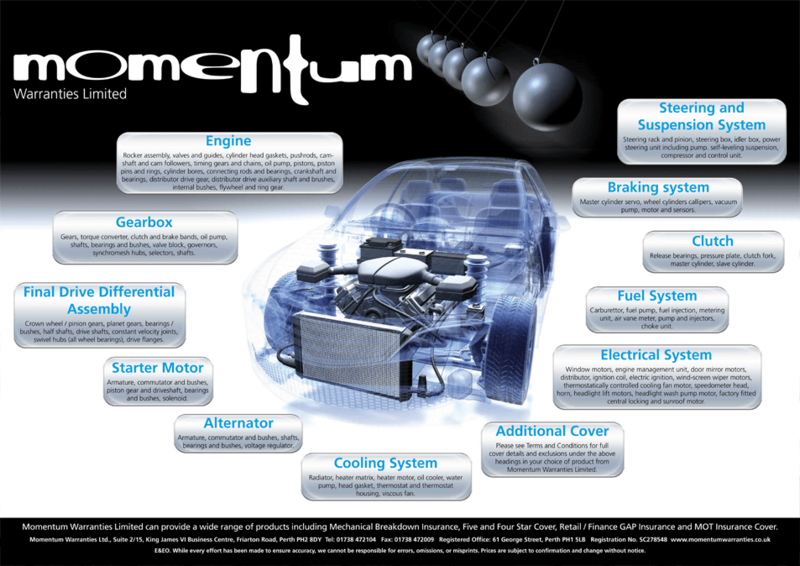 Formula One Car Centre along with the Momentum can supply warranties for up to 5 years. We pass the benefit of this product onto our customers at trade prices". Ask our staff for your warranty quote TODAY! !